Below is a sample of the standard BJU Press Secondary Writing & Grammar materials provided for each grade. Some grades may include additional pieces. 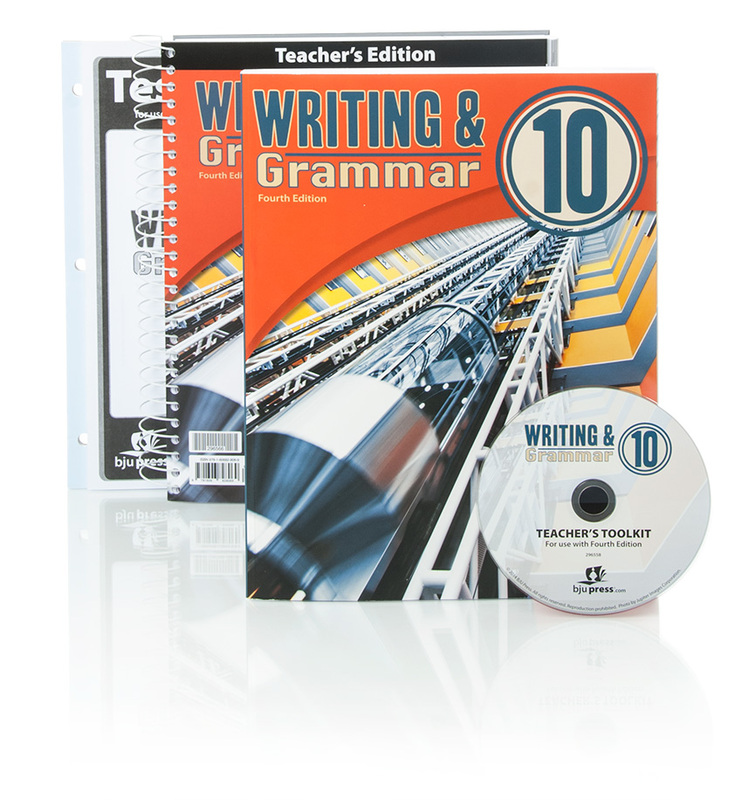 The Student Worktext provides students with a basis for forming a clear understanding of grammar and for increasing their effectiveness in written English. In addition to writing and grammar instruction, students receive practice in library and study skills. Grade 12 also addresses test-taking strategies and college application essays. Each Teacher’s Edition includes a lesson-plan overview with suggested teaching schedules as well as reduced student-worktext pages with overprint answers. The Teacher's Toolkit CD offers reproducibles and answer keys for diagnostic pretests, extra activities, writing worksheets, and grading rubrics. Tests and test answer keys are provided for separate purchase. They include chapter tests, midterm exams, and final exams.